Registration for Pre-Admission Screening will commence on Friday 2ndSeptember 2016 and will close at 12.00 midnight on Sunday 11thSeptember 2016. Scored a minimum of 200 marks in the 2016 UTME for all courses except those for which higher bench marks have been specified in the University Website. Eligible candidates should visit the University website to complete the registration online. The University recognizes that several candidates had earlier registered for the previously scheduled CBT Post-UTME test which was subsequently cancelled by the Federal Government. For such candidates they would not need to make any further payment in order to register for this Pre-Admission Screening exercise. For other candidates who are registering for the first time, the University will charge a fee of #2,500.00 (Two Thousand Five Hundred Naira) only for this screening exercise. To pay for the Application, click on “Add online payment ticket” at the bottom of the page, then click on “College Pay” on the top left corner of the page, follow the instruction to pay the application fee of N2,500.00. Sorry, i mistakenly click the Finally Submit without having any ideas of it's Function and i haven't Filled in My O'level result. Make sure you visit a cyber cafe, do not attempt to handle it without having full information, allow experience cyber cafe attendants to do it for you. 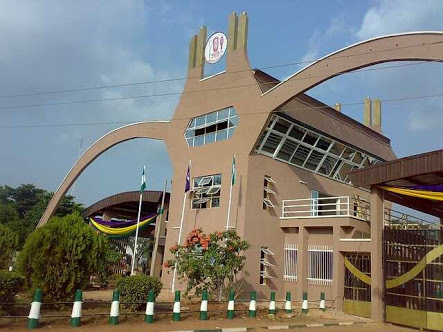 In order to resolve your case, visit the Main Auditorium of the University of Benin. Meet any security personnel you find there, you will be taking to the unit were you issue will be resolved. There after visit a cyber cafe to complete your registration. visit the Main Auditorium of the University of Benin. Meet any security personnel you find there, you will be taking to the unit were you issue will be resolved. There after visit a cyber cafe to complete your registration.